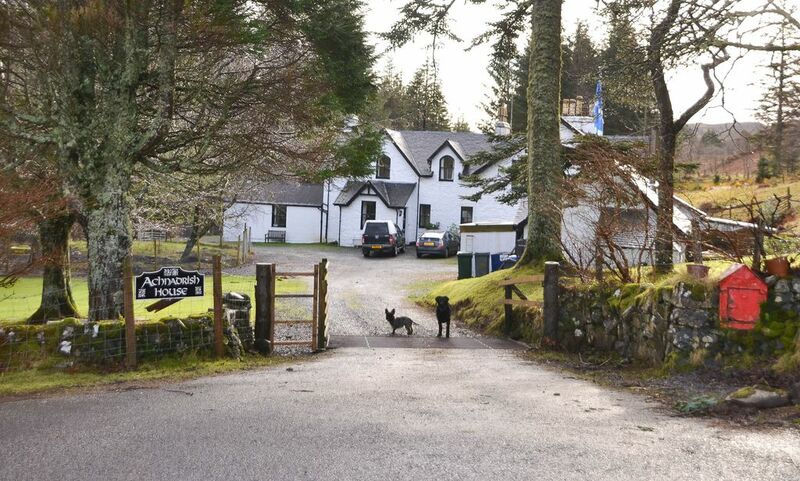 Forming part of Achnadrish House, a 17th Century former shooting lodge, the Cabin offers a suberb location and comfortable self catering accommodation for 2 guests in an open plan sitting/bed room, well equipped kitchen and bathroom with shower over the bath. Perfect for exploring the many stunning beaches and getting away from it all in this area of pristine wilderness, yet only 5 miles from the wonderful eateries and shops of the iconic pretty town of Tobermory. We run a small self-catering company 'Braw Holidays' with properties on the Isle of Mull, Easdale Island and Edinburgh as well as hiring Camper Vans on the Isle of Mull where we live. We felt good here and we had a warm welcome! Beautiful historic property with lovely views and even horses and a little waterfall just outside. Charming cottage with everything you need. Hosts were so very sweet and I felt like I was a true part of the island. The stay was perfect, even if the weather was a little damp. The property was clean and directions to find the Cabin where clear. On arriving we were welcomed with a pleasant surprise of locally produced shortbread which was very much appreciated and the owners were very welcoming. It was lovely to be in such beautiful surroundings. The Inner Hebridean Isle of Mull is a pristine wilderness, unspoilt and a wildlife haven. We have a healthy population of Sea and Golden eagles, Red Deer, Otters, Minke whales, Bottlenose Dolphins to name but a few and highly recommend taking a boat trip or going on a land based tour in order to maximise your chances of seeing these amazing animals. There are white sandy beaches with turquoise seas to explore, mountains to climb, and lots of lots of tracks to walk. Stunning scenery all around.